This Sunday, June 3, enjoy the sun and cool coastal air while you help support high school scholarships. 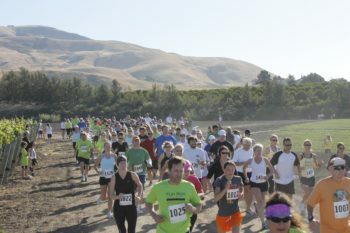 All this is part of the 25th anniversary of the Marianne Talley Memorial Fun Run at Talley Vineyards in Arroyo Grande. 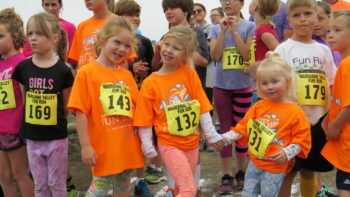 From the first event in 1993, race manager Marian Fiorentino has developed the race into an event that attracts plenty of serious runners in the 5K and 10K races. 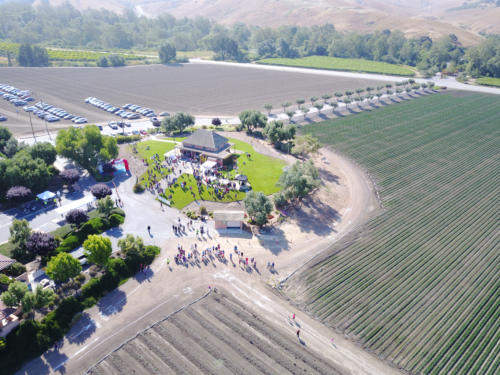 It’s also an event for families and people of all ages and abilities to come out to enjoy running (or walking) through the vineyard’s property or participating in the 1-mile Adult Walk. One of the highlights of the morning is the 1-mile Youth Run for ages 13 years and under. 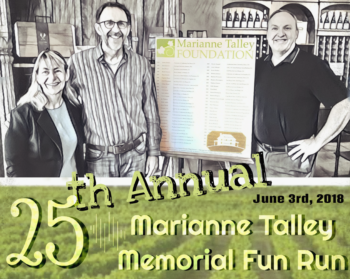 Brian Talley shared the history of the Marianne Talley Foundation, named in honor of his sister, and the 55 Arroyo Grande High School students so far who have received scholarships totaling $300,000 since 1993. On Sunday, head to the Talley Vineyards winery at 3031 Lopez Drive. Registration is at 7:00 am. The 5K, 10K, and 1-Mile Adult Walk are at 8:00 am, and the 1-Mile Youth Run is at 9:15 am. If you haven’t already signed up, you can do so online by midnight May 30 at www.raceroster.com. After that, register at the pre-race packet pickup on Saturday from noon to 3:00 or sign up the morning of the race. Here’s a fun incentive. If you beat Brian Talley, who has been a competitive runner and recently finished the Bay to Breakers race in San Francisco, across the finish for the 5K, you’ll receive an “I Beat the Vintner” t-shirt. If you come in close behind him, you may get an “I Almost Beat the Vintner” t-shirt. Others racers and walkers receive a commemorative t-shirt (while supplies last for late registrants). We’ll see you at the start!